I have to admit that I get a little excited when I first see Hot Cross Buns arrive on the supermarket shelves. I am unable to resist popping a bag (or two!) 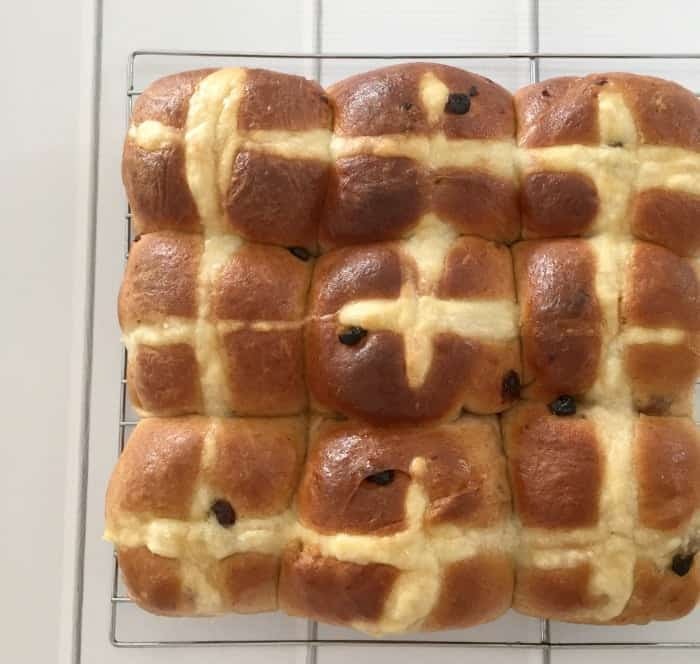 into my shopping trolley each and every time I visit the supermarket, so it only made sense that I try making my very own Thermomix Hot Cross Buns. This is a recipe I’ve used for years, but just didn’t make all that often due to just not having enough time to stand around kneading the dough. 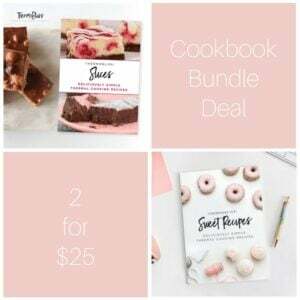 Now that I’m using my Thermomix to make these, it is dangerous just how easy it is to make these yummy Easter treats. This recipe is versatile when it comes to the amount/type of dried fruit you use. If you are not a huge fan or currants, you can leave them out and you can also use sultanas instead of raisins if you wish. 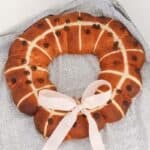 For those of you who don’t like ‘fruit’ in their baked goodies, you can also omit the dried fruit and turn these into Fruitless Hot Cross Buns. 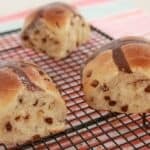 This recipe will make 12 Hot Cross Buns, however you can also make ‘mini’ buns if you prefer, the cooking time will vary though and I’d suggest checking them after 15 minutes. 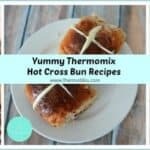 You can find more easy Hot Cross Bun recipes in this post and also make sure you check out our ThermoBliss Easter eBook. 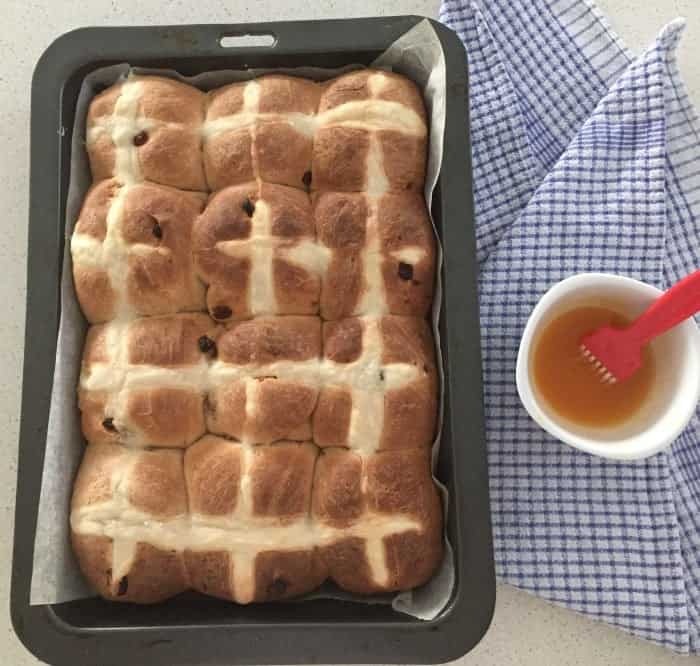 Our Thermomix Hot Cross Buns recipe really is the BEST! Lightly oil a large bowl and line a large lamington tin with baking paper and set aside until needed. Add the flour, mixed spice, cinnamon, egg, butter and remaining sugar into the Thermomix bowl. Mix for 15 seconds on speed 7 to combine ingredients. Add the raisins and currants to the bowl and combine for 3 minutes using the kneading function. Place the dough balls into the prepared baking tin, cover with a tea towel and place the tin in a warm spot for another 30 minutes to allow the dough to again rise. 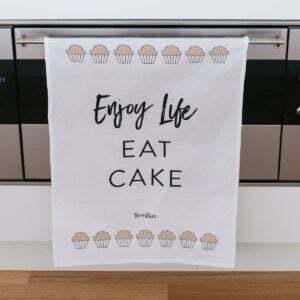 In a small bowl, combine the extra plain flour and water until smooth and place into a piping bag. Once the buns have again risen, pipe crosses onto them before placing the tray into the oven to bake for 20 minutes, or until the buns are golden brown and spring back when touched. 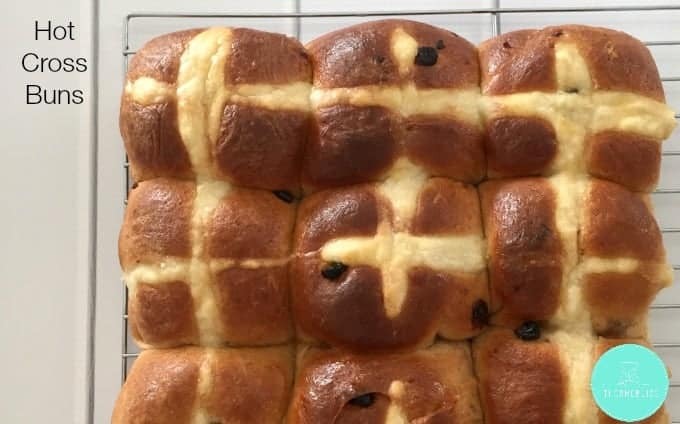 These Hot Cross Buns can be frozen. You can also add 2 tablespoons of bread improver to this recipe if you wish - this helps the Hot Cross Buns to stay 'softer' for longer. Add this when adding the flour. You can also alter the amounts of raisins/currants that you use. Do you get excited when Hot Cross Buns are back on the shelves too? I literally just whipped up a batch in the thermie- delicious! 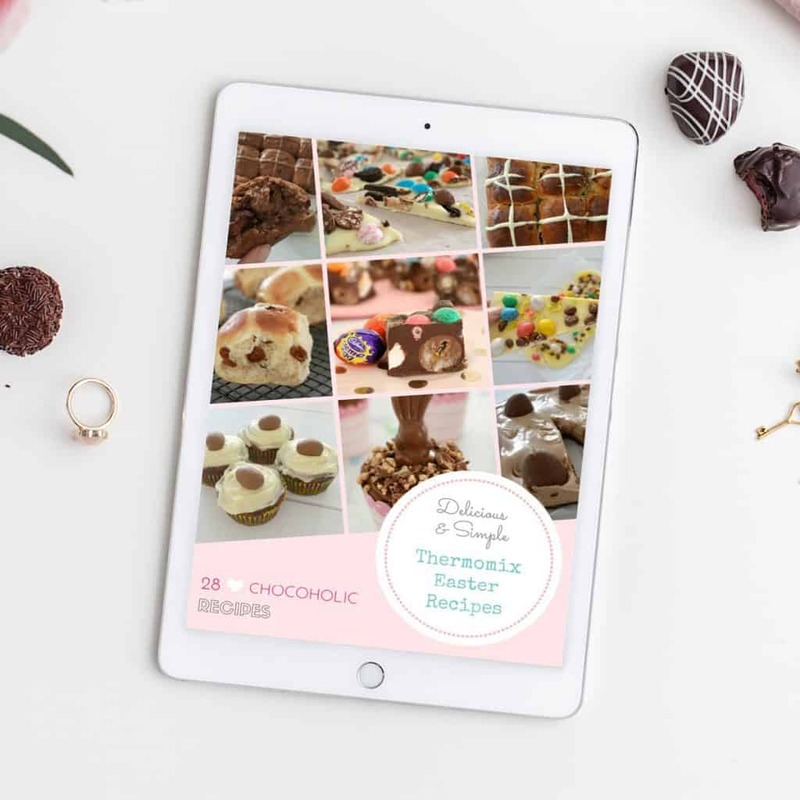 Thanks so much this I’ve been buying hot cross buns for the last couple of weeks as absolutely love them and keep thinking that I should make my own – I am going to do this recipe this week! 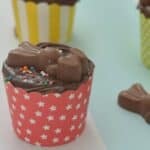 Just made these but used spelt flour – amazing! Am getting my fill now before the kids get home and devour them! Thanks for the great recipe. I’m making these at the moment. They smell unreal and looking good so far. The dough is very sticky, it had me worried about rolling into balls but I cut the dough with the Thermomix spatula and hand rolled on an oiled silicone mat and they turned out great. Mine have just come out of the oven the tops got very dark and buns still not cooked through. Perhaps I’ll cook at 180c next time. I did them in a non fan forced oven. The flavour is good. I made these this afternoon.. mine are very dense the thermomix was jolting and not mixing probably as the dough was so heavy I wish they turned out because they look unreal. I’m unsure weather my yeast is to old or I over worked them? ?